Hi, I’m Dr Mark Merolli. I’ve spent most of my clinical career working in musculoskeletal and sports physiotherapy. My PhD and non-clinical expertise/interest is in digital technology and its use in healthcare to improve outcomes. Clinically, I have practiced both locally and in the UK and I’ve spent my entire career educating students through university teaching positions. As well as an ongoing passion to work with school students to engage them in the importance of injury management, and sports medicine. I’ve worked with various professional sporting associations, in particular: Tennis Australia and Basketball Australia. My keen interest is in the rehabilitative side of injury management and restoration of normal functioning. 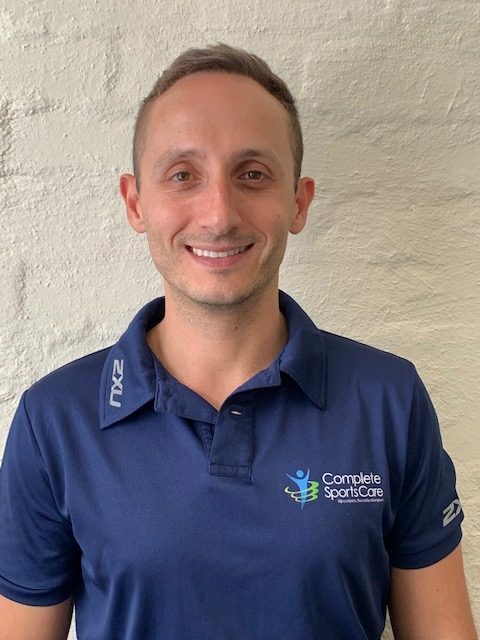 I’ve got extensive experience in exercise-based rehabilitation, including strength and conditioning, and clinical pilates based therapies, as well as use of real-time ultrasound as part of core stability assessment. I enjoy treating a variety of conditions. When I’m not at Complete Sports Care or working at the University, I regularly consult, run workshops and present at conferences to health professionals about technology and healthcare.